Does your child struggle to complete homework at home? (My Xbox is just soooo tempting!) Is it difficult to help them with content that you haven't had in...a few years? (I feel younger than I look.) Does your child just need a quiet place to work before the big game? (Go Hornets!) Then why not try Study Tables? 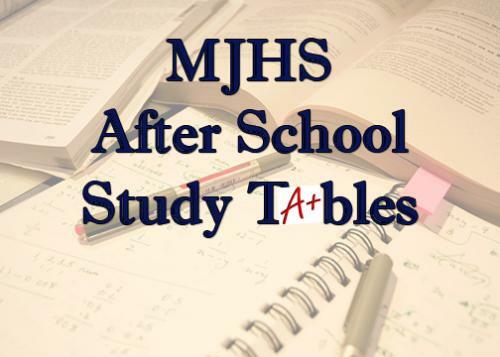 Study Tables is an after school program where students can receive assistance from one of our very own teachers along with support from National Honors Society tutors. It is held in the Media Center from 3:00 - 4:00, Monday through Thursday. You can sign up for one day, long term, or just show up and sign in. Use the link below to sign up. Extra help is just a click away!